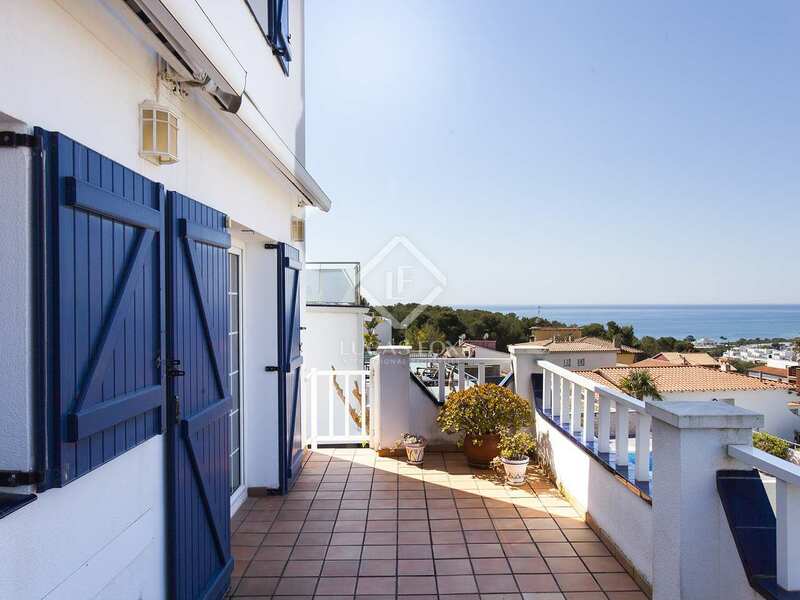 Built in 1995, this detached property with a distinctly French feel, is located on a unique plot offering unbeatable sea views towards Sitges in one direction, and towards Tarragona in the other. 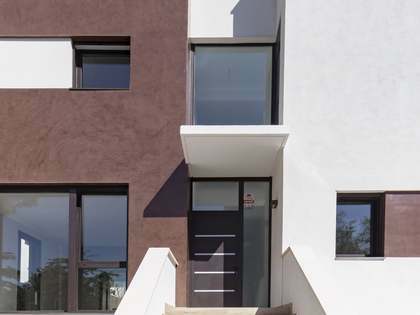 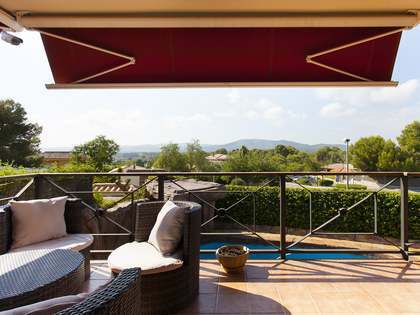 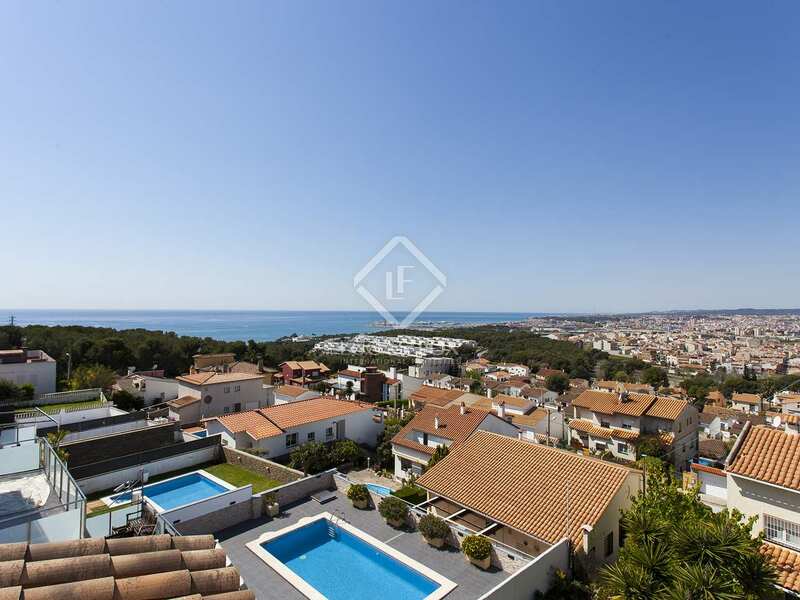 From its remarkable vantage point with 360º views, it overlooks protected green land and neighbours other smart, detached homes in one of Mas d'en Serra's best streets. 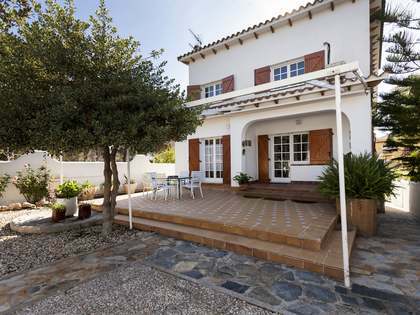 The house features both a front garden and a very well tended rear garden with a lovely swimming pool, a separate shower, toilet and barbeque area. 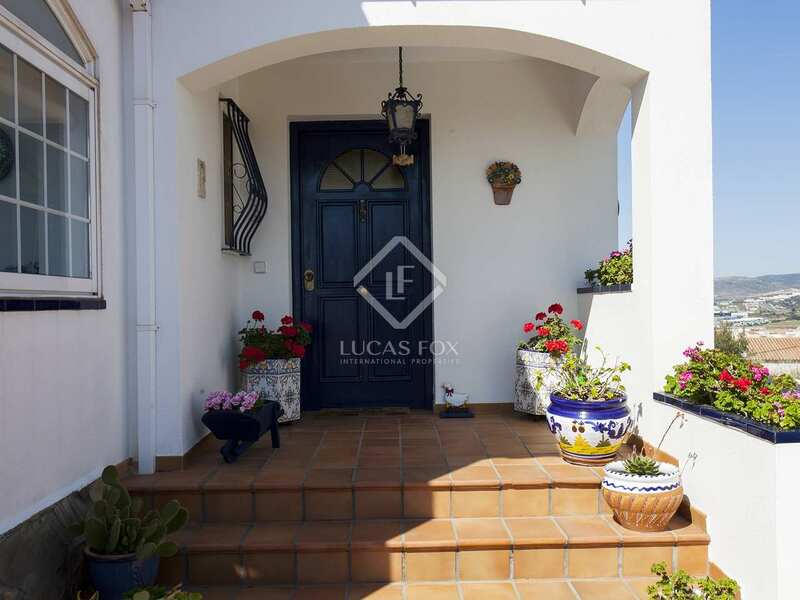 We enter the ground floor of the house via a pleasant entrance hall which leads us to the spacious living room – dining room to the left with doors out to the covered porch which enjoys views of Sitges. 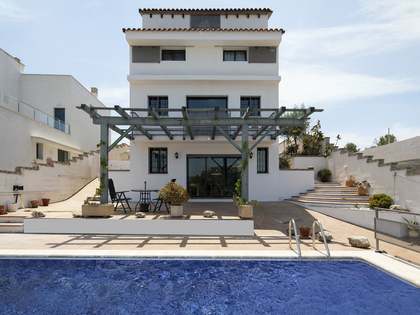 Doors the other way to the back terrace reveal views of the pool and the coastline heading south and there are steps down to the garden. 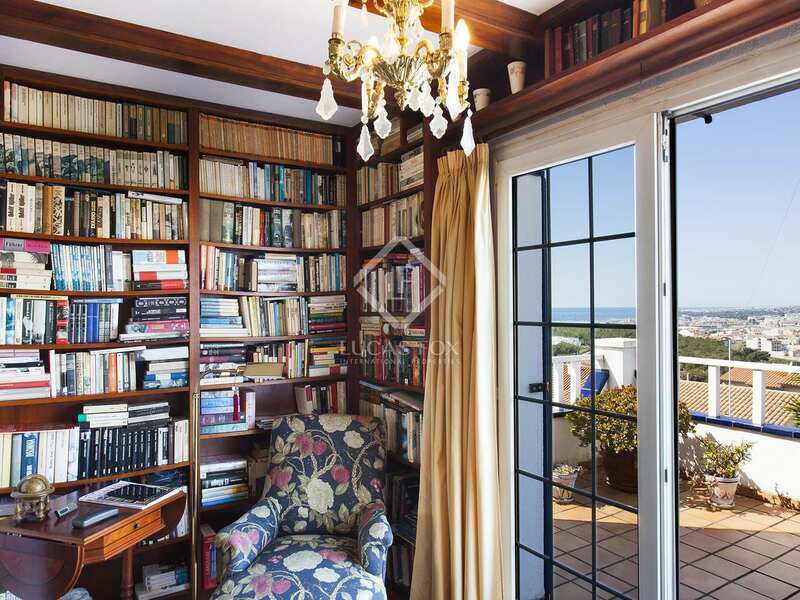 This level also has a small covered room overlooking the pool that can be used as a guest bedroom or reabsorbed back into the main house. 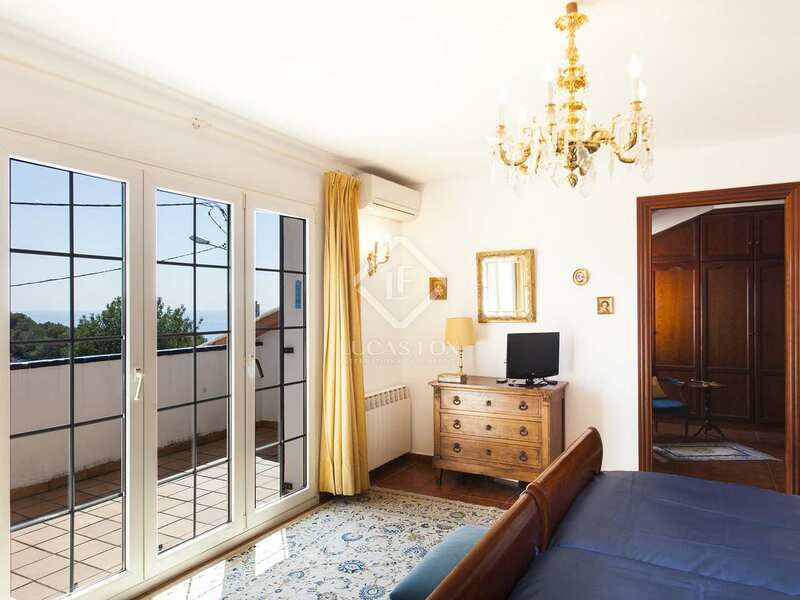 Moving on we find the kitchen diner leading out to the back terrace, 1 double bedroom with fitted wardrobes, a toilet and a shower. 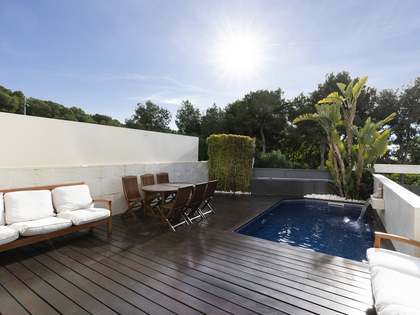 The first floor offers the master suite with its 2 dressing rooms, a wonderful terrace with views of Sitges from the bed and a complete bathroom. 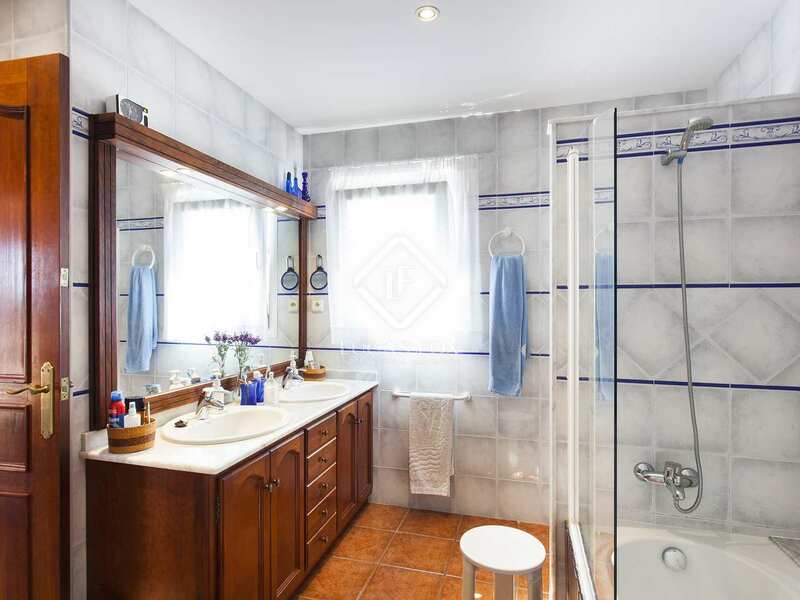 There are 2 more double bedrooms on the first floor, a second complete bathroom with a separate bathtub and shower. 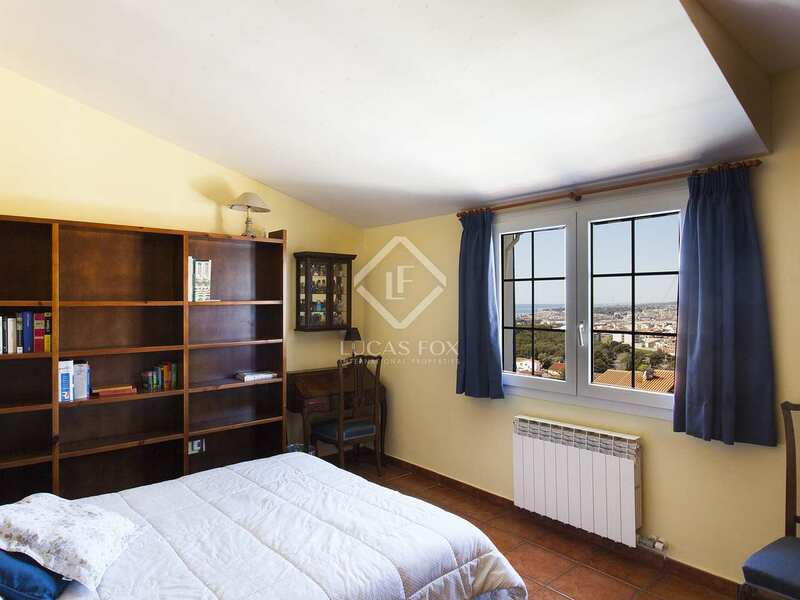 The top floor provides space to be used as the new owner sees fit, whether as a bedroom or study for example. 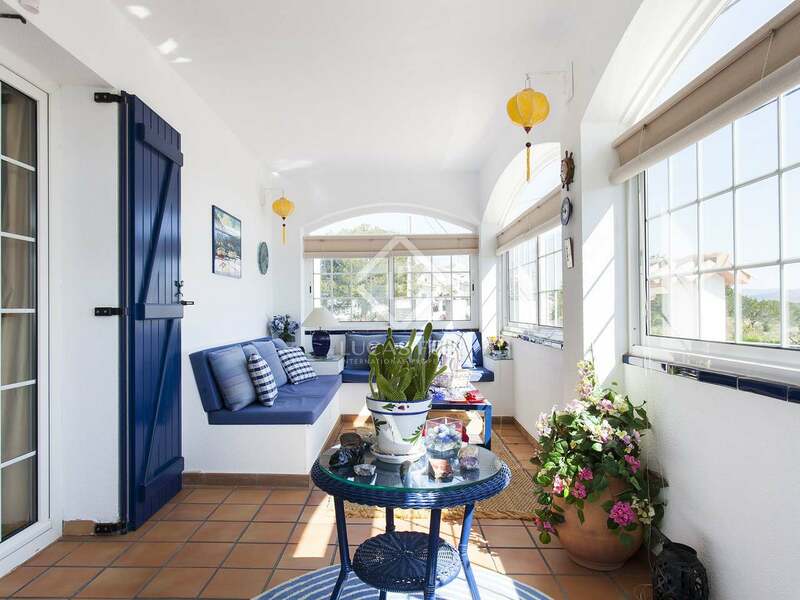 There is another terrace with great views on this floor. 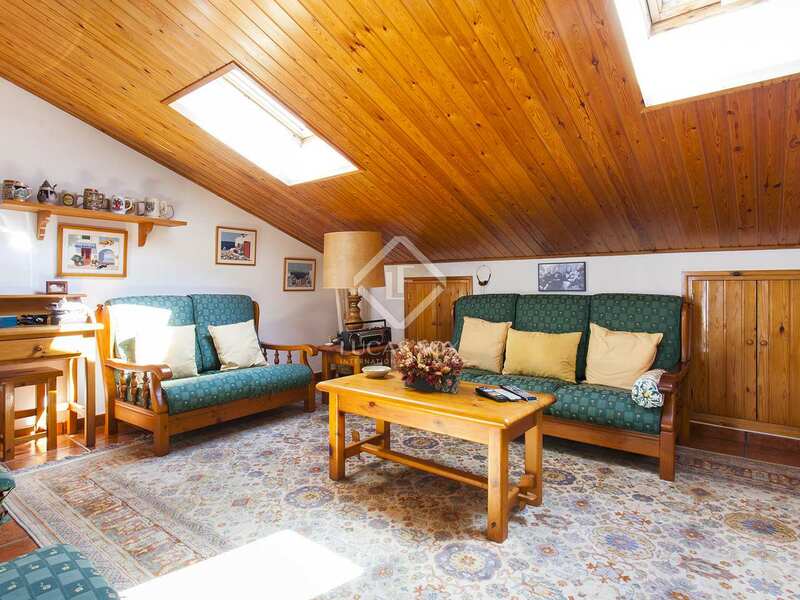 A 2-car garage, utility room and workshop are found in the basement. 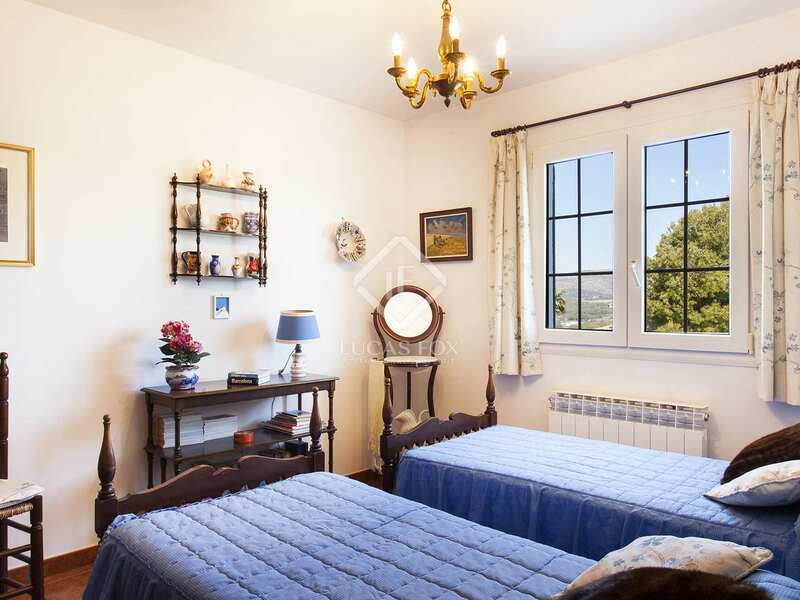 Additional features of this family home include excellent quality double glazed windows, gas heating, good security and air conditioning in many of the rooms. 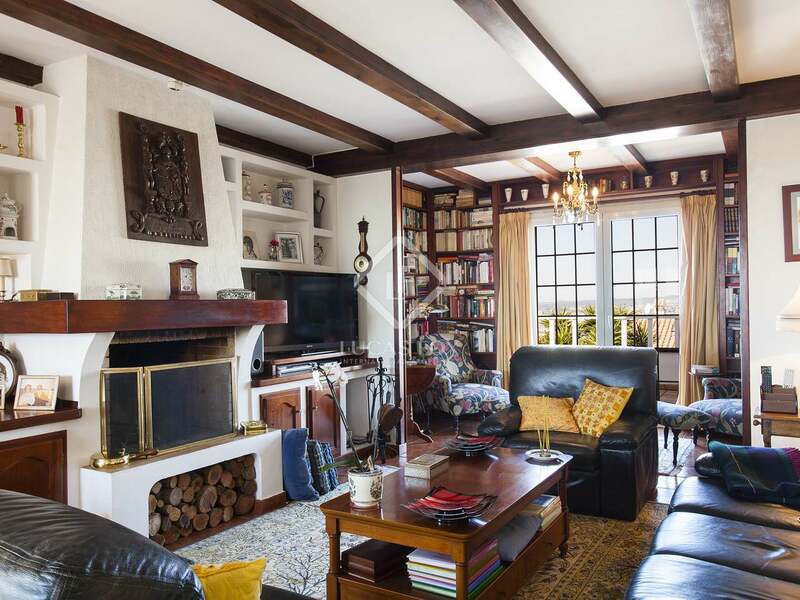 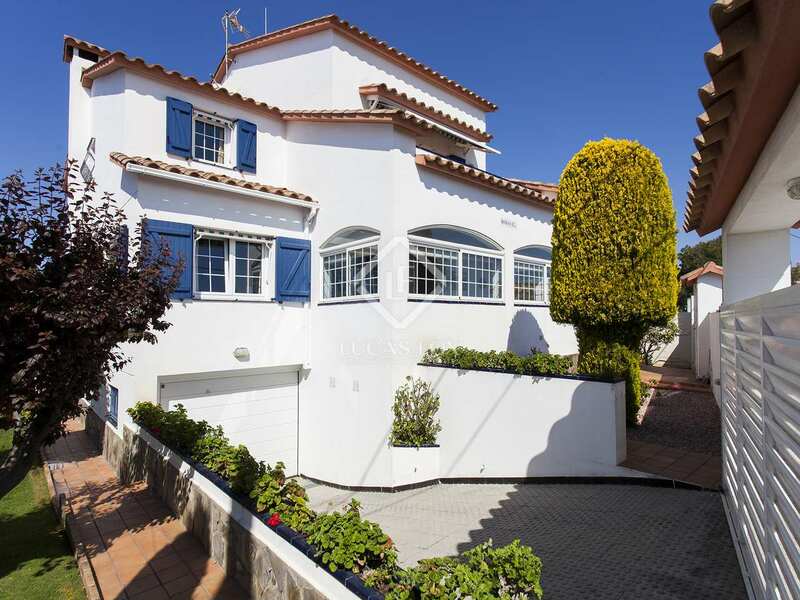 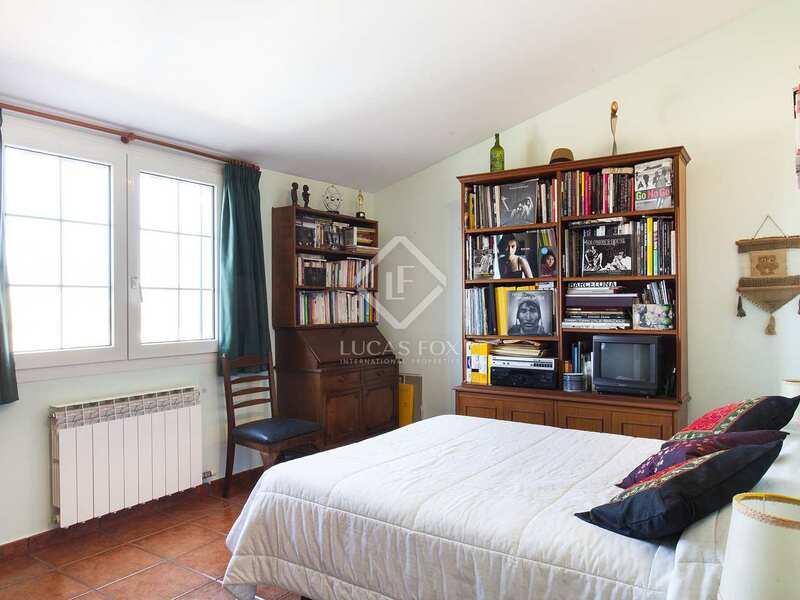 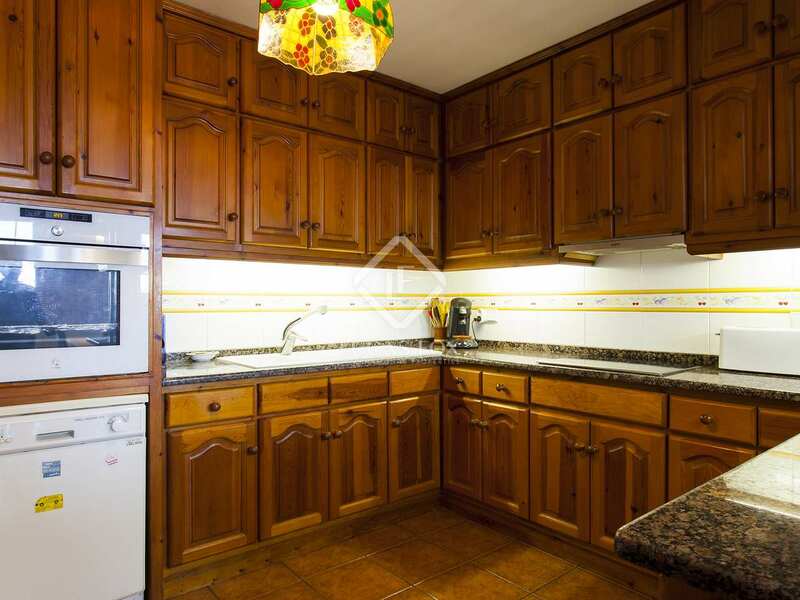 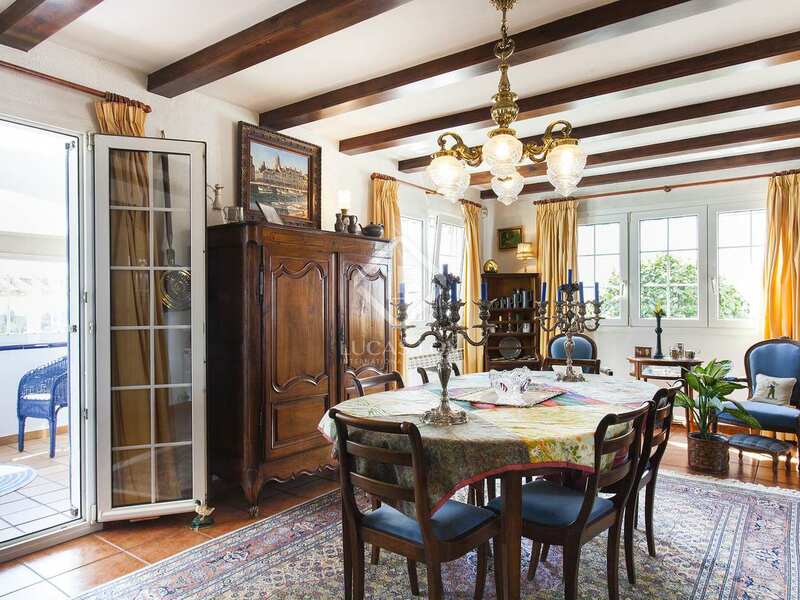 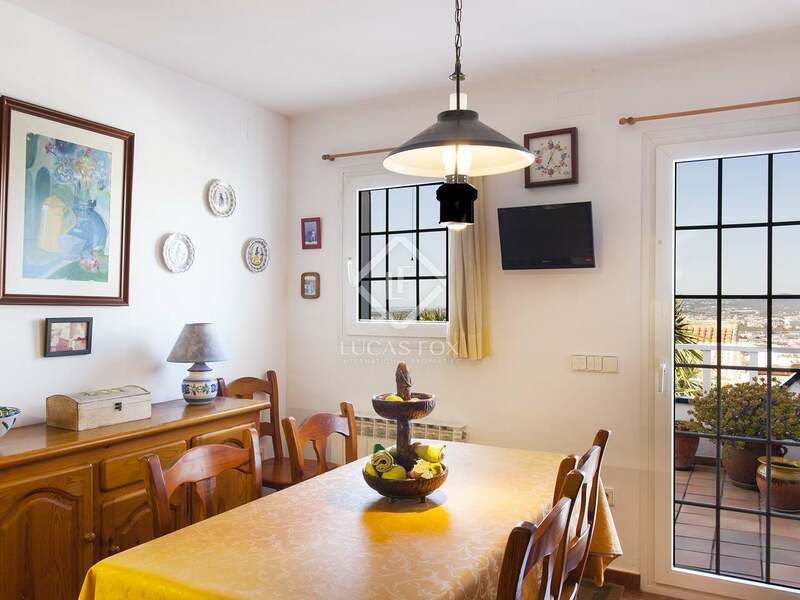 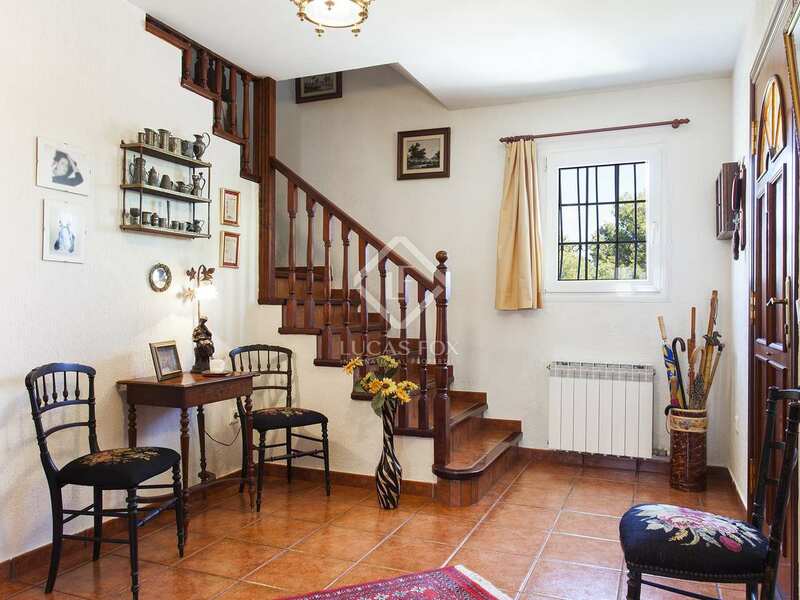 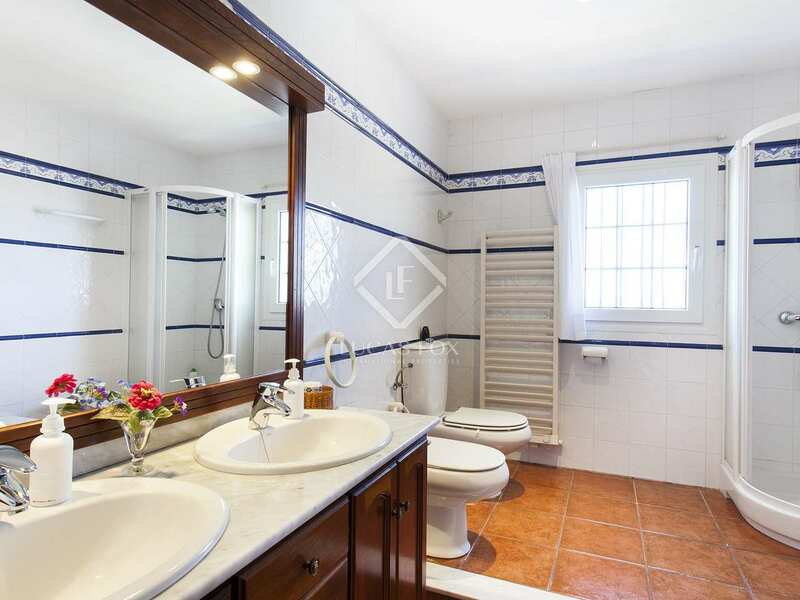 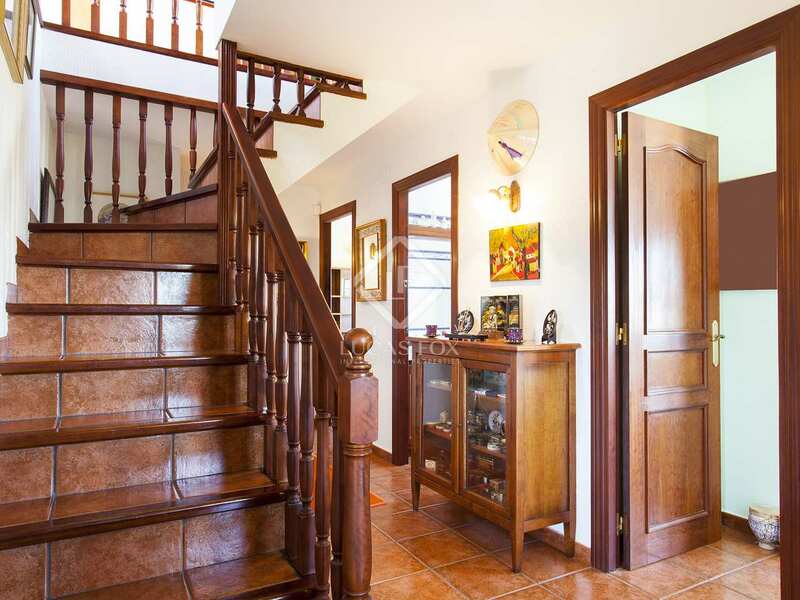 In short, an excellent family home in a good residential area of Sitges. 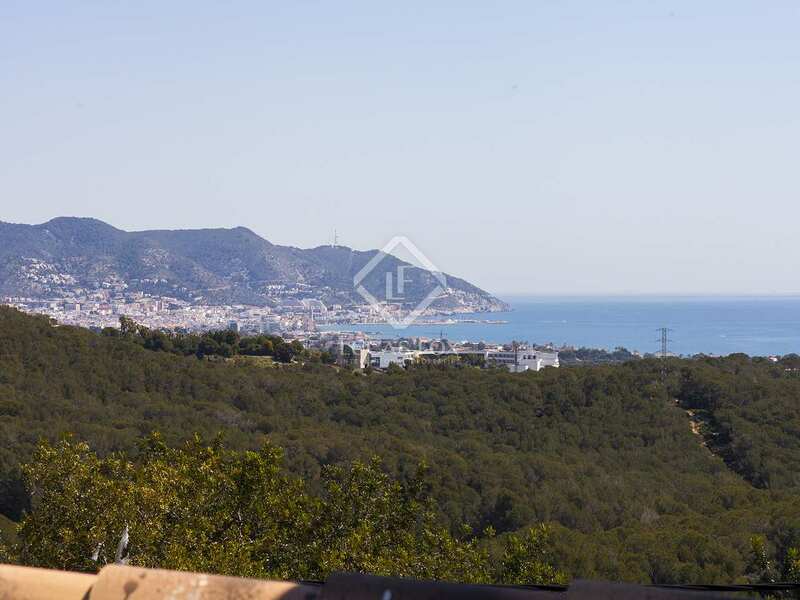 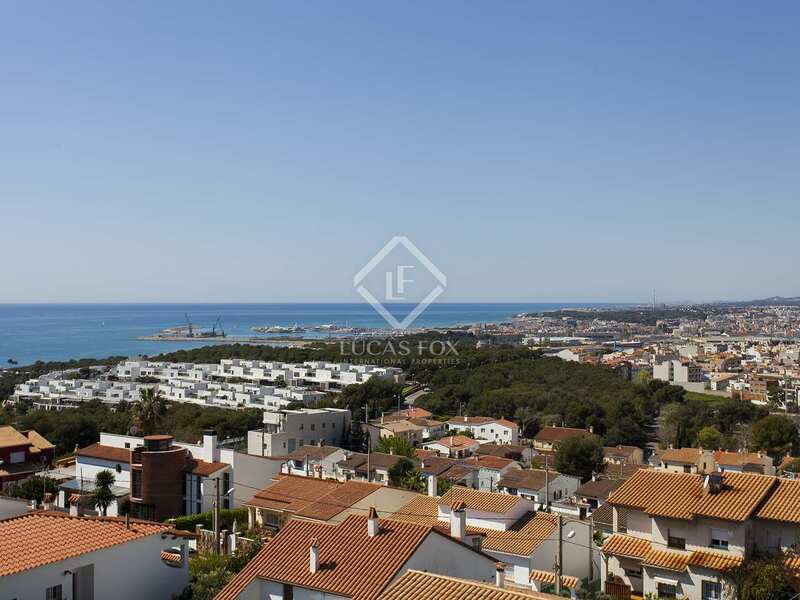 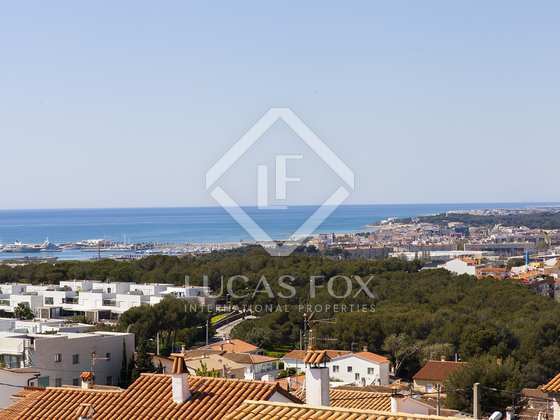 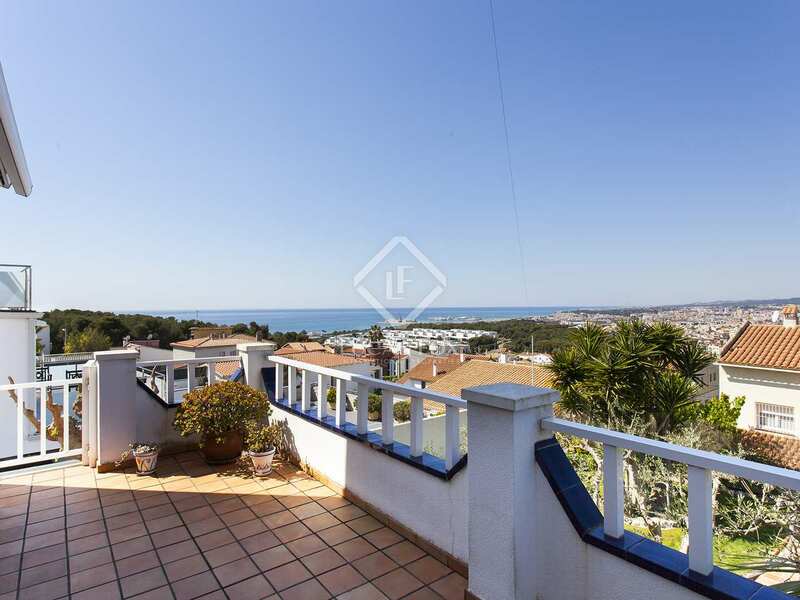 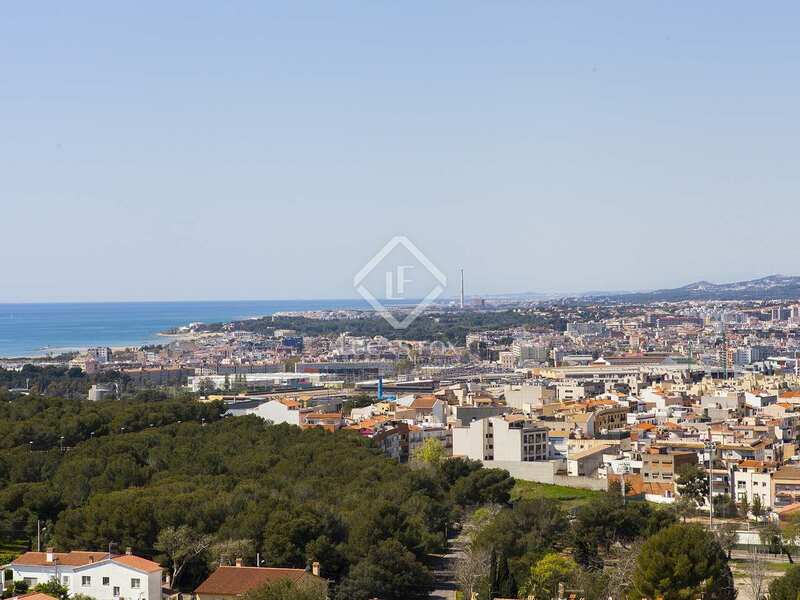 Property located in Mas d'En Serra, very close to many of Sitges' international schools and conveniently situated between Sitges and Vilanova with views of both and amenities in the surrounding area.